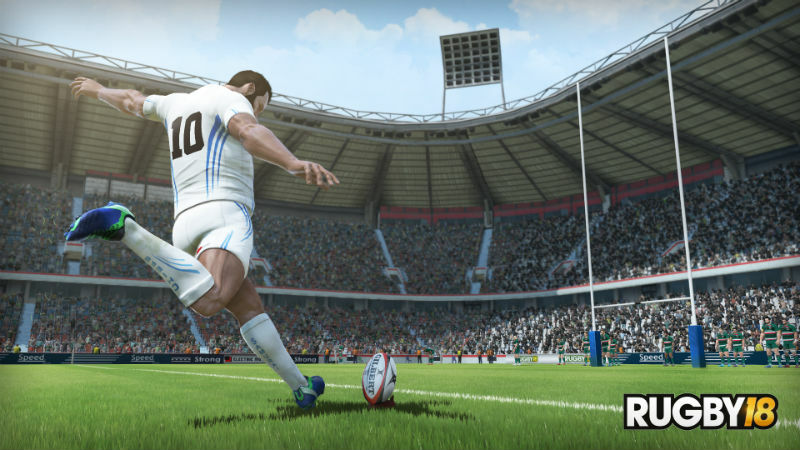 Rugby 18 released late last month, and while the game is a huge improvement over its predecessors, there are a few hiccups with Big Ben Interactive and Eko Software’s latest rugby release. 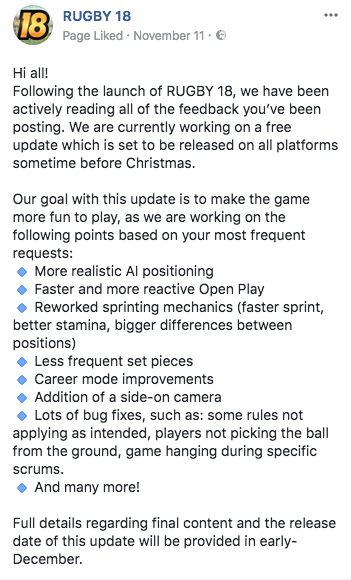 If the developers can implement the above changes, there’s no doubt that Rugby 18 will be a far more fluid and playable game. Rugby 18 has got the look, ambition, and licenses — it unfortunately just lacks the core gameplay that captures the feel of rugby.” Hopefully, Eko Software’s update will change that. 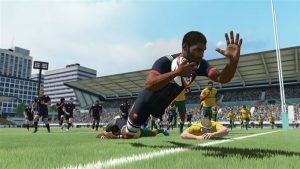 Rugby 18 is available on Xbox One, PS4, and PC.